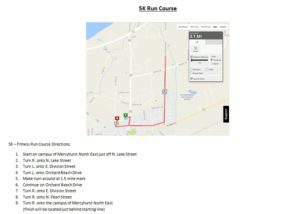 Same great course, new and improved starting line! 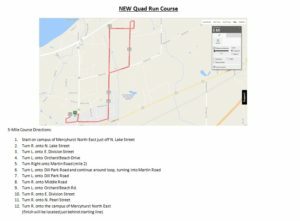 Are your tired of running between Gibson Park and Mercyhurst North East during the QUAD Run?! Have no fear because this year the start and finish line will both be on the campus of Mercyhurst North East. Registration/Check-in, refreshments and QUAD Kids race will all take place in the same area. Check out our new map and start preparing for the QUAD Run on 9.17.16.